Ten years ago, a virus nearly wiped out the human population of Earth. Apes survived, and developed their own civilization with signed and spoken language. The foundational beliefs of the ape society are that apes are family, and that apes do not kill other apes. Dawn of the Planet of the Apes is the sequel to Rise of the Planet of the Apes, which is itself a reboot of the original Planet of the Apes series. 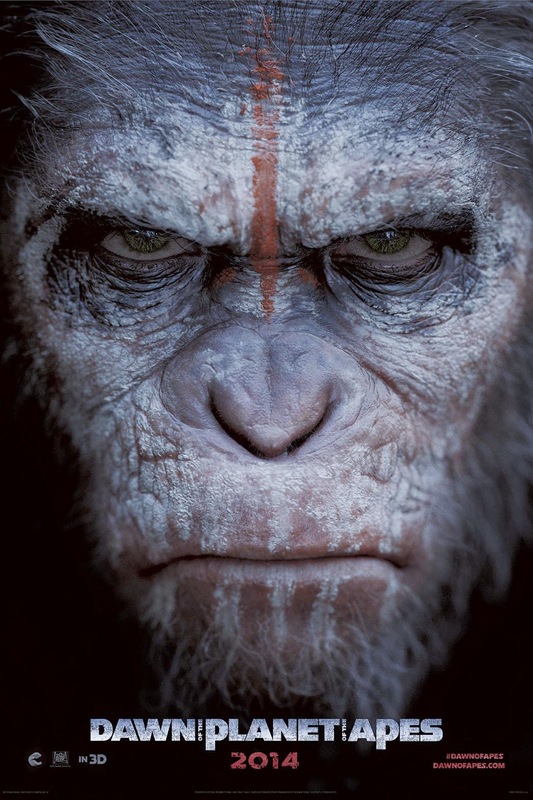 In this film, Caesar leads a community of apes who come into contact with the human survivors who are trying to rebuild their society. Many of the apes distrust humans because of the abuse perpetrated upon the apes by human scientists in years past – some of the apes have scars from the experiments to which they were subjected. Many of the humans distrust or devalue the apes, focusing instead on their own need for survival and referring to the apes as “animals.” Yet Caesar is conflicted – he has seen the violence humans have done, but has also been raised by kind humans. Some humans- chief among them an architect named Malcolm - also value and respect Caesar. Will Caesar and Malcolm be able to overcome the conflicted past relations between human and ape, or will growing tension on both sides lead to war? Caesar was raised by humans, and is now in a prominent position in the community of apes. Similar themes of cross-cultural families interacting with the conflict between their shared cultures appear in films like The Jungle Book and, more recently, Belle. Adoptees may relate to the feelings of having divided or confused loyalties, and to the feelings of pressure to choose one culture over the other, rather than being allowed to embrace both cultures (see Superman: The Movie and Man of Steel). 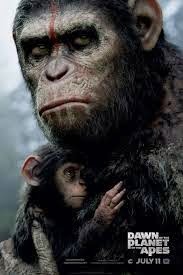 In Dawn of the Planet of the Apes, Caesar’s cross-cultural experience is a strength which allows him to serve as a bridge between two cultures. There are some scenes that could surprise and be difficult for some viewers. Caesar’s wife gives birth, but her health is threatened. She ultimately survives, but some viewers might find it difficult to see a mother’s heath in peril. One ape is shot during a tender family moment. One ape unexpectedly kills a young ape for disobedience. Children and teens who have experienced domestic violence might find these scenes particularly disturbing and surprising. 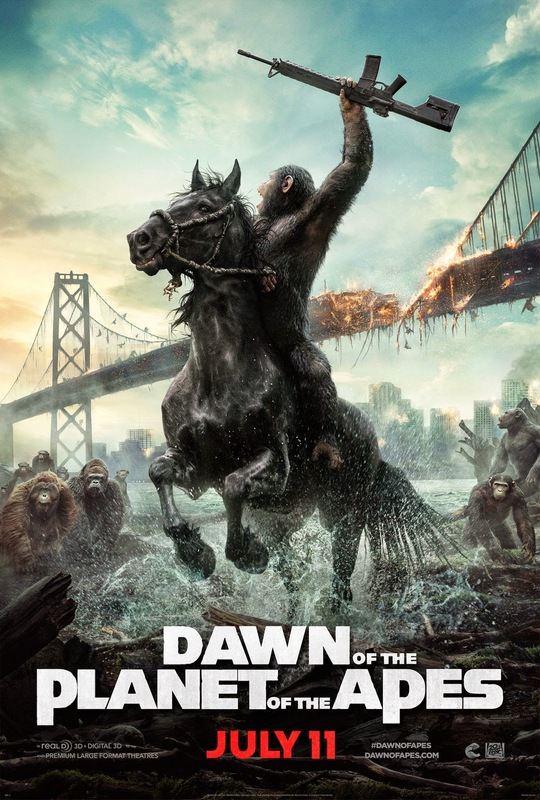 Dawn of the Planet of the Apes is a visually striking and heavily plotted film. It kept me interested. There is a considerable amount of gunplay and violence in the film, but it is not gruesome or graphic. Young children might find the film frightening, but it should be entertaining for tweens and teens, so long as the two scenes of unexpected violence are not problematic for them. One character says, “Scars make you strong.” What do you think? How can the pain we’ve experienced become a strength in our life? (For more on this theme, see X-3: The Last Stand). Do you identify with more than one culture? Do you see them as being blended or as being in conflict? Sign up for our email list (top right corner) and never miss another review!